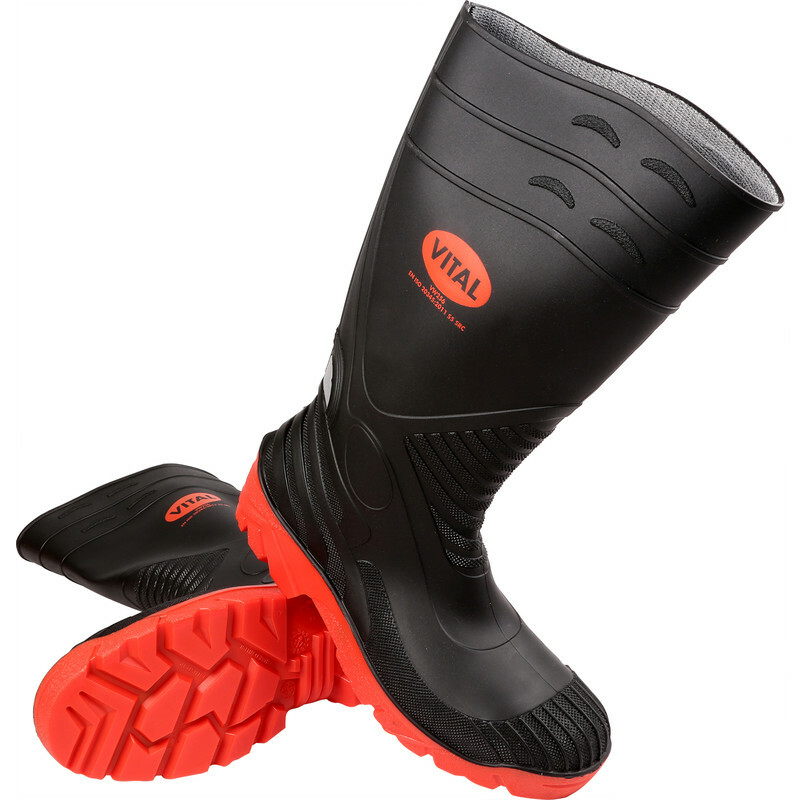 Titan Safety Wellington Boots Size 3 is rated 3.8 out of 5 by 4. Rated 4 out of 5 by RickyBoy59 from Really pleased with my purchase Purchased these online, after reading reviews. Delivered on time and the boots are a lot more comfortable than I was expecting. Would definitely recommend. Rated 4 out of 5 by Ms Gnomer from Solid boots These are good, solid, steel capped rubber boots. They are quite heavy, but I'm now comfortable that my feet won't get crushed by livestock and my feet won't get wet in standing water (which they did with leather yard boots; hence I switched to wellies in the first place). They are men's sizes, so I found them very large. This is actually great for winter, though, as I've put some thermal insoles in them and wear them with a pair of fleece welly liners. I am going to order a pair for spring/summer in a size 4, which I think will fit me properly (I'm usually size 5/38).